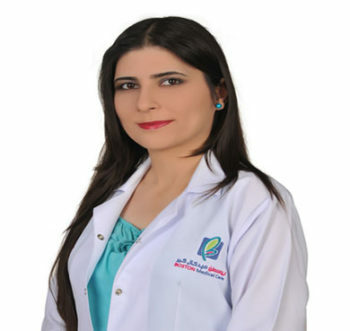 Dr. Alaa Babat is a Syrian physician with dermatology specialty from Syrian Commission for Medical Specialties. She also has Syrian Board certificate in dermatology and venereology. She is a registered dermatology and sexually transmitted disease specialist in Damascus. She was a Dermatology resident physician in Directorate of Health Rural Damascus. Dr. Alaa has gained years of experience in the field of cosmetics (filler, Botox, Mesotherapy, chemical peeling and plasma treatment).